The rise of mobile apps and online dating sites has opened up an endless global dating pool for searching singles. The world wide web has officially taken over as the village matchmaker as more and more couples are meeting online. In fact, in 2017, 19% of women said they met their husbands online, a significant increase from the 5% reported in 2015. One of the many advantages of online dating, is that people working abroad, or in the military can still find their soulmate while on active duty. In fact, military personal make up some of the greatest love stories on the successful dating site, Zoosk . Since its beginning in 2007, Zoosk has attracted over 40 million members worldwide and has connected people across the globe. Zoosk’s smart communication features mean that users can meet, chat, and keep in touch, no matter where they are located. Despite the millions of couples brought together through online dating, a fair share of romance scammers and fraudsters have gravitated towards online dating sites, posing as soldiers in the military and putting real users at risk of identity theft and fraud. This has become such a frequent occurrence that in 2016, the FBI’s Internet Crime Complaint Center received almost 15,000 reports of romance scams. This shocking statistic means the Army Criminal Investigation Command manages hundreds of allegations a month with reports that several senior officers and enlisted soldiers have had their identities stolen and used in these scams. What makes fraudsters so difficult to track down is their proficiency hiding their IP address online. These military romance scams are popular with fraudsters as they prey on the public's admiration for brave military personal and it also provides a good cover story as to why they can’t meet in person or might be in need of financial assistance. They often target vulnerable older women who might be divorced or widowed. Zoosk has long been aware of the potential pitfalls of online dating and in 2014 set up a pioneering photo verification tool to help put an end to catfishing and provide a way to let daters know the person they’re talking to looks like their photo. This tool helps keep users safe online and especially offline. Zoosk has recently raised the bar in online security, rolling out its newest security feature, Zoosk Insignia. Zoosk Insignia is a trailblazing new verification system that provides an extra level of safety against romance scammers claiming to be members of the U.S. military. 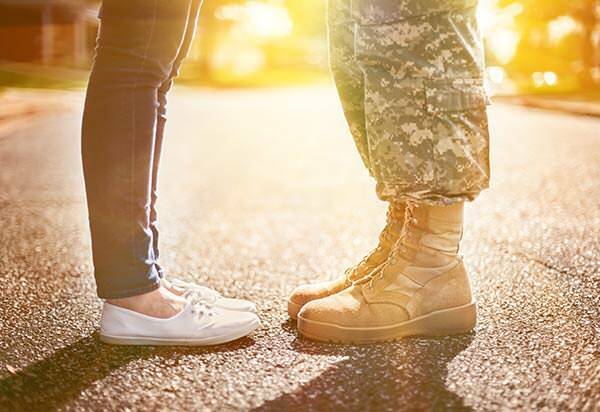 Zoosk members who choose to submit valid proof of their U.S. Military service status, will be given a military verification badge that shows up on their profile. This proof includes submitting their branch of service, driver license information, and of course verifying their profile picture. The badge will help Zoosk users determine who is a verified member of the armed forces so if someone’s claiming to be a member of the military who isn’t verified, they’ll know to report them. For more signs and information about romance scammers, run through this online dating guide that Zoosk put together to help members protect themselves. Tools like Zoosk Insignia are the first step towards eliminating this growing issue. However, it's up to the everyday user in the U.S. to be vigilant and take the steps to ensure the personal safety of all. So learn how to protect yourself while at the same time protecting our brave servicemen.